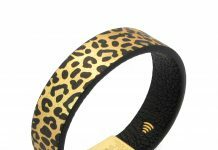 The Wearable Technology Show is the biggest dedicated wearable technology event in the world with over 100 exhibitors and 200 speakers taking part in the conference and expo over two days â€“ 10-11 March 2015, at ExCeL, London. WTS 2015 will feature innovators large and small, from technology giants Microsoft, Samsung, Intel, Jawbone and Misfit, to start-ups Ambiotex, MyBrain, Nuvo and Made with Glove, funding supremo IndieGoGo, and students from the University of London. Exhibitors will be using WTS 2015 as the European launchpad for groundbreaking devices across a wide range of applications, including sports and fitness, healthcare and lifestyle. The wearable technology market is estimated to be worth $173bn. Find out how wearables can be used to monitor extreme sport performance and much, much more in the Performance Sports conference track http://www.wearabletechnologyshow.net/sport-fitness-track and discover some amazing sports monitoring and motivating devices in the expo.